Most of you are asking for a guide to Unlock and root the SRT phone, So here is a detailed guide. 1)Download all files required. links are given below. Bootloader unlocking file, Qualcomm drivers, Qfil tool portable. 3)Install the Qualcomm drivers and ADB drivers on your PC. 5) Open the userdebug-emmc_appsboot folder, copy and replace the emmc_appsboot.mbn file in the extracted FOTA6-475-buildimage named folder. 7)Select the flat built and click the browse button and choose prog_emmc_firehose_8976_ddr.mbn file placed in the FOTA6-475-Buildimages. Search path will be filled automatically.Now click the Load XML button and a popup box will appear select the rawprogram0_unparse.xml and click Open at the bottom.Then another popup will appear select patch0.xml and click Open. 9)After getting the download finished message disconnect the phone and press Power + Vol down This will take you to the placeholder screen, press power button and wait again press power button (You have to repeat this placeholder step on every reboot) this will take You to a No command screen. Press power and Vol up buttons and your phone will be in the Recovery mode. Select the wipe data /factory reset option using the vol up and vol down buttons and press with the power button then select YES with vol button and press Power button to confrim. This will wipe all Userdata. ( Don't skip this step otherwise you will get less interal storage after booting). After completing the wipe, press Power button to reboot your device and do the placeholder step. 10) After setting up your phone, go to the about phone in the settings and tap the built no for 7 or 8 times, now the developer option is unlocked in your phone. Go to the developer option switch on the toggle keys next to the OEM unlock and USB debugging mode. 11)Open the folder where the minimal ADB and fast boot drivers are installed on your PC probably in the C drive under program files named ADB and open command prompt by pressing Swift key and Right click on the mouse simultaneously.Now Swith off your phone and press power+Vol up button simultaneously till the fastboot screen appears and connect the phone to PC. Type "fastboot oem unlock" command on the command prompt and press enter.On the phone screen select yes and press power button to confrim unlocking bootloader. This will Unlock your bootloader. (If the command prompt shows waiting for devices then the ADB drivers are not installed properly. Open the device manager of your PC and and check whether there is a yellow triagle on the android devices, if it is then right click and select update drivers and click update drivers automatically and repeat step no 11). "fastboot format cache" and press enter. This will replace the stock recovery with TWRP recovery and wipe userdata. Next disconnect the phone and select recovery mode with volume buttons and press power to confrim. This will take to the placeholder screen press power button and wait, On the next screen also press the power button. This will take you to the TWRP recovery. Uncheck two options given and press Don't Install button on TWRP. Connect the phone to PC and on the TWRP press MOUNT and select MTP this will show your phone on PC. Copy and paste the Magisk.zip and Lazyflasher.zip to the phone memory and disconnect your phone. Goto INSTALL on TWRP select internal storage for storage selection and select the magisk.zip and confrim flash by sliding the slider button. Press wipe dalvik cache button and confrim wipe by sliding the slider bar and reboot system.Repeat the placeholder step. WARNING: Rooting the phone will void the warranty. DISCLAIMER: These processes mentioned above maybe incomplete or incorrect. So the author will not take any responsibility for bricked devices. REQUEST: If any user finds any of the steps is incomplete or wrong please let me know. 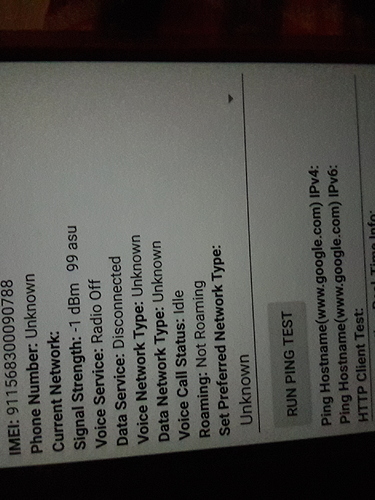 Is there any developer in the forum who is working on custom ROMs for Srt.phone. Because i remember a few days ago some random people said that they are waiting for bootloader unlocking to get start custom Rom development for Srt. @Ram Awesome description with detailed information. Can u explain what error, placeholder screen will appear you have to press power button twice as mentioned above. The file is working perfectly. Thats placeholder screen. U should press power button on this screen and the next screen. 13:32:56: ERROR: function: sahara_rx_data:194 Unable to read packet header. Only read 0 bytes. Have u flashed any custom rom. I think u have corrupted the EFS partition. If u have taken a nandroid backup the just restore it. Otherwise it is a bit difficult problem. 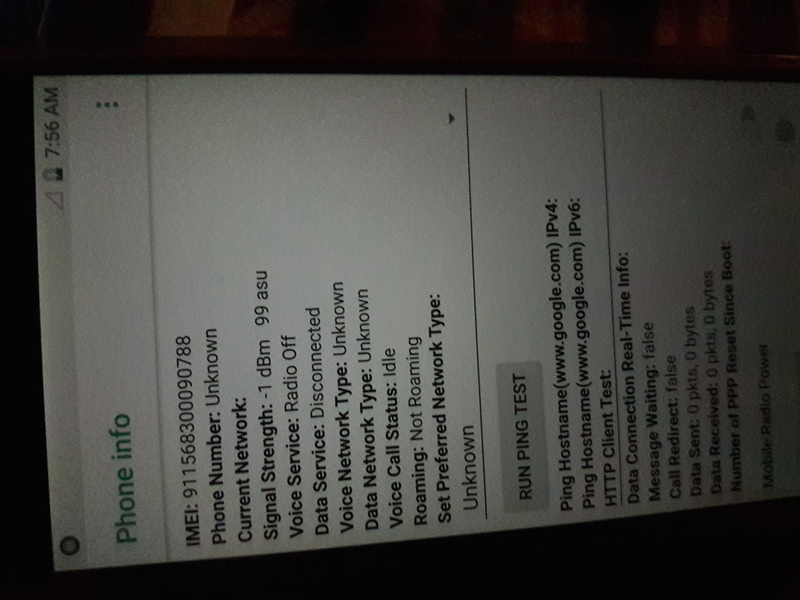 wts the message shows, No imei or unknown imei? Now the only option for you is restore the efs partition for this device if you have the partition backup. In case if you don't have backup then you Virtually lost all the identification information for this device.